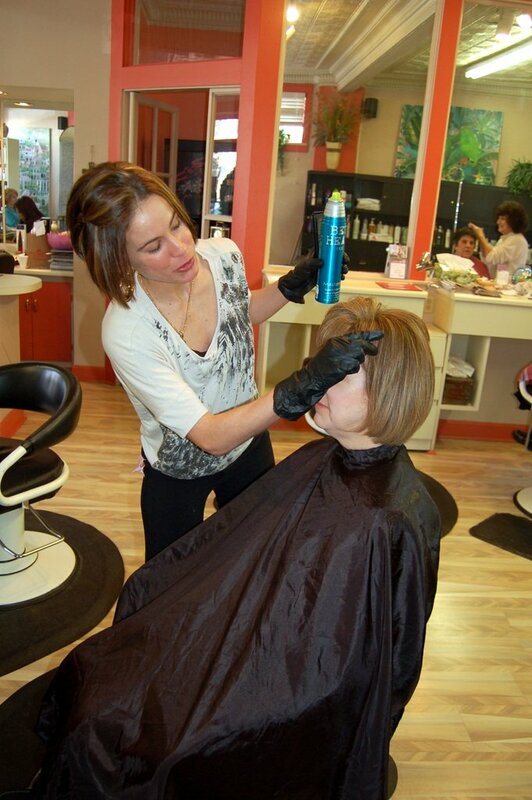 Kristen Pauley executes finishing touches to a Global Keratin Treatment and styling. Kristen Pauley and Justine Thomas tag team to finish a client after a GK Treatment at the Glendale Statements in Hair. GK Treatments are also used to tame frizzy hair and prevent ANY frizzing and curling in humid and wet weather. If you have been longing for smoother, straighter hair, Keratin hair-straightening treatments may be the answer for you. Keratin is actually a protein naturally found in your hair, and the treatment is actually restorative, since it strengthens the hair shaft and helps to make hair more resilient. Here’s how it works. 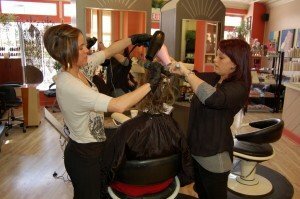 The stylist applies the keratin hair-straightening product to your hair, which takes approximately 90 minutes or longer to process (depending on your hair length). Next, the heat of a flat iron is applied to seal in the product. It’s important to not wash your hair for 3-4 days after receiving the treatment, and then use a sodium-sulphate-free shampoo to help maintain it. You can expect the results to last 2-2.5 months. If you need to take a few minutes off your morning prep time, a keratin hair-straightening treatment can shorten your blow drying time by 40-60%. Another significant benefit of the treatment – especially here in SW Ohio – is that light rain and high humidity will never cause the frizzies! The FDA and Occupational Safety and Health Administration (OSHA) have investigated formaldehyde levels in some of the keratin products currently on the market. At Statements in Hair we use Global Keratin©, also known by its nickname, “GK”. This product’s formaldehyde level is comparable to that contained in deodorant. 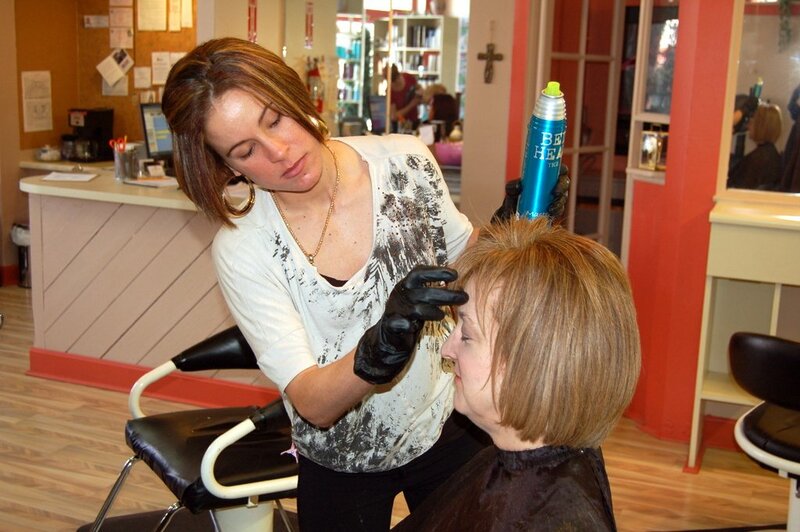 At many salons, keratin straightening treatments range in price from $250 – 300. We are very happy to be able to offer the same service beginning at $175, and only more for unusually long or thick hair. To preserve and prolong the treatment, I recommend using GK© shampoo and conditioner. If you have questions about Global Keratin and keratin hair straightening treatments, feel free to call us, 513-942-7262, or email robyn@statementsinhair.com.